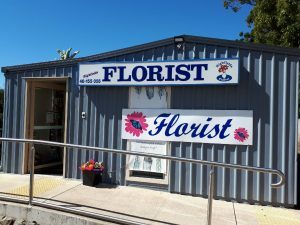 SANDY & JASON KAHLER ARE THE OWNERS OF HIGHFIELDS FLORIST AND THEY WELCOME YOU TO THE WEBSITE FOR THEIR FLORIST SHOP AT HIGHFIELDS, A FEW KMS NORTH OF TOOWOOMBA TOWARDS CROWS NEST. YOU CAN DROP BY OUR FLORIST SHOP AND SEE THE EXQUISITE DESIGNS FIRST HAND OR JUST CHOOSE FROM THE EXAMPLES ON OUR WEBSITE. GIVE US A CALL OR SEND AN SMS OR EMAIL – WE WILL ARRANGE THE FLOWERS TO IMPRESS AND HAVE THEM DELIVERED ON TIME – WHETHER IT IS ACROSS THE STREET OR AROUND THE WORLD. WE ARE FLOWER GROWERS AS WELL AS PROFESSIONAL FLORISTS, SO WE ARE MOST QUALIFIED TO ENSURE THE FRESHEST FLOWERS AT THE MOST COMPETITIVE PRICES. 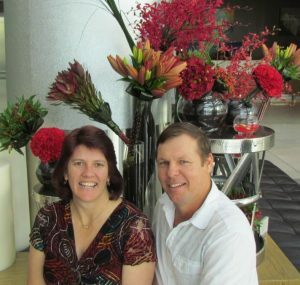 Sandy is one of our Qualified Florists. She has been in the Florist Industry since 1989 and enjoys working with all flowers but especially mixing native flowers with the soft varieties in the one arrangement. Sandy enjoys all aspects of floristry but seeing the joy on people’s faces when she personally delivers flowers would have to be a highlight for her. Jason Kahler on their farm at Hampton. This reduces the time from picking to you and ensures the best quality flowers with the longest possible vase life.